We’ve got major tentpoles this time around, like Avengers: Endgame, Detective Pikachu, John Wick, Men in Black, Hellboy, Aladdin, Shazam, and more! Lou leads contestants Andrea, Erik, Fred, Keri, Mike, and Shannon through selecting their picks in this season’s movie draft! 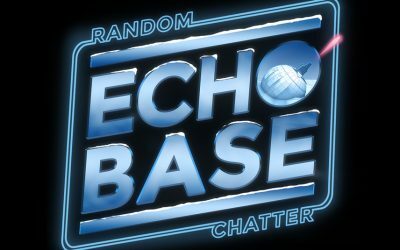 After our rather long Star Wars Celebration survival guide episode over on EchoBase we decided to do a short RC show. This week Lou and Tim cover the Box Office results and some very quick news. As Star Wars Resistance continues through its first season, is the show coming into its own? Can we alleviate the concerns of those who feel the show is lacking direction or feels disconnected from the greater galaxy? Join us as we discuss the show overall and take a look at episode five through eight. This week, Tim and Lizzie replaced Lou with Jon. Did they make Jon shave his head? Captain Marvel, Us, Arrow, a Kickstarter dominate the news, while the RRS segment covers Lord of the Rings, Bond 25, Suicide Squad and Nicole Kidman. This week Lizzie Tim and Lou cover the week’s entertainment including the Hulk Hogan biopic, Spielberg trying to keep Netflix out of the Academy awards, and the return of Agents of Shield. While the RRS segment covers lots of 2’s. Aquaman 2, A Quiet Place 2, Space Jam 2 and a new Scooby Doo movie. We had far too much to say about The Last Jedi to fit into a single episode, so here’s part two! In this episode, we take a look at the character development of Rey, Kylo Ren, and more. We’re all hopeful that Episode 9 will bring the “Trilogy of Trilogies” to a fitting close. Join us as we take a spoiler-free look at what we’d like to see in the final film of the Skywalker Saga. The Last Jedi is perhaps the most divisive Star Wars film ever, yet it’s still loved by many. Join us as we explore the latest episode in the saga and examine the ups and downs of Episode 8. This Week Tim, Lizzie Lou are back together again discussing entertainment news including Mattel’s efforts in developing new shows, some Oscar news and of course seem Reboots, Remakes and Sequels. 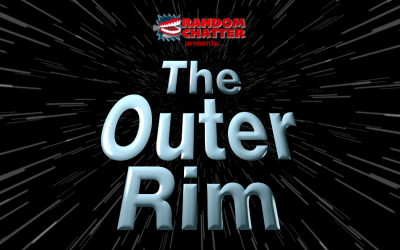 This week the gang discuss some really random entertainment news, A new Stage name at Warner Brother, more R-Rated movies in the future for Marvel and some RRS items.